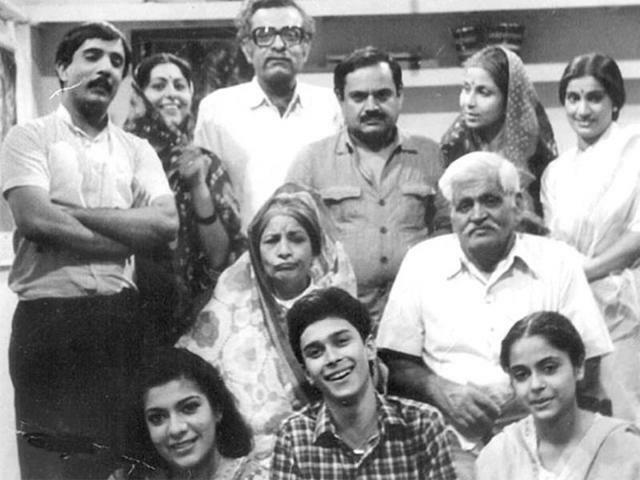 Hum Log was the first ever Indian soap aired on national TV channel, Doordarshan. Before Hum Log there was no such drama came into picture. 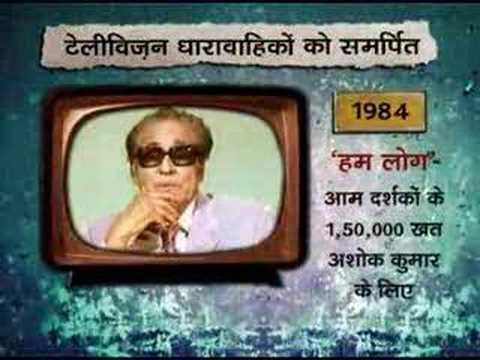 The then Broadcast Minister Shree Vasant Sathe with an ace writer from Hindi Film Industry had developed the concept and idea of the first ever television show to air on Doordarshan. Vasant Sathe, after his tour to Mexico had decided to invite a leading Mexican television show creator Miguel Sabido to India to work on the television series here in India. Before Hug Log, Indian audience had never witnessed miniseries or television shows. Miguel, when came to India met a group of local writers and developed the first ever Indian soap namely Hum Log. The show used to run twice a week in 30 minutes slot. Finally during the mid 80s the show started airing on National Television. The legendary Hindi Film Actor Shree Ashok Kumar was an important part of the show. He was the narrator who used to end up each episode by discussing the synopsis of the episode aired. Hum Log, the name stands we people. The name says it all. It was a story of the people. Every common man who has a family friends and regular work, face different types of issues and problems in life every day. The story of Hum Log is based on such middle class family issues that we often encounter in our real life regularly. The story begins with an alcoholic man, Basesar Ram and his family. There are a number of family members like Dadi, Dadaji, Nanhe, Lalloo, Badki, Majhli, Chutki and Basesar’s Ram’s wife Bhagwanti have different interests and different take on life. The story revolved around these people and their aspirations from life. Basesar Ram is a core alcoholic who kept suppressing his wife Bhagwanti. On the other their son Nanhe who had a dream of being a cricketer and their 2nd daughter among three wanted to become an actress. Each episode showed diverse shades of characters and their tiny issues, among which some had solved some remained same like a real life scenario. After every episode Ashok Kumar was shown to discuss about the episode and the issues Basesar Ram and his family encountered. The show was all about social issues like family planning, women empowerment and caste issues. It was more of a social drama than traditional family drama that we usually watch on TV. To begin with, the show had a united family that had many members. If you are young and thinking that such big families initiated from Rajshri or Balaji production on Indian television then let me correct you. The whole family drama concept had started from Hum Log since 80s. It was the first show that depicted how a big fat Indian middle class family adjust with each other by accepting each other’s loopholes and the way they are. The relevance of the show is still the same irrespective of time as the issues are lot similar, sometimes other way round, in each of the middles class family today. Hum Log had come up with some social sensitive issues as well like the family planning. We often come across families who belong to lower middle class category that have 3-4 or 5 children. The parents are unable to feed them due to poverty. Neither have they got food nor education and not even basic needs of life. The show had shown every bit of this issue. Talking about woman empowerment, we found four strong women in the show namely Bhagwanti, Majhli, Badki and Chutki. These women had shown us even we moved a lot ahead and time has changed but the women power is still strong, rather increased a lot. Back in 80s the way women empowerment was promoted in the show was definitely commendable.